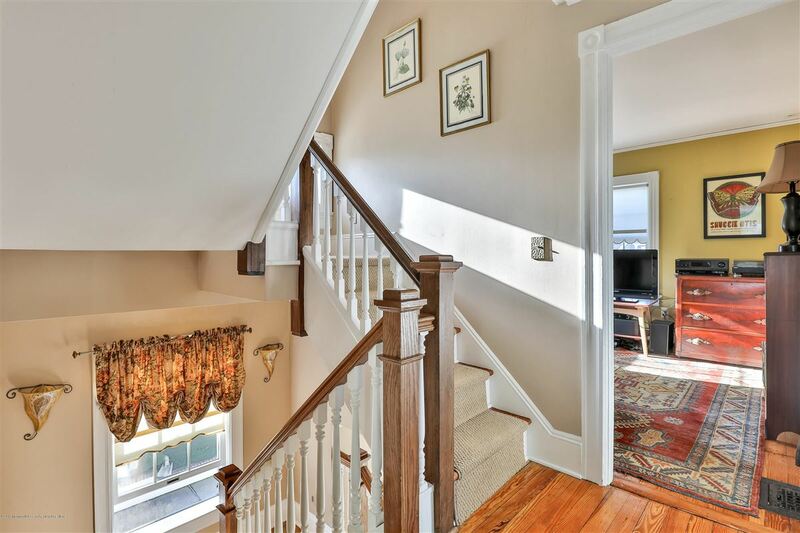 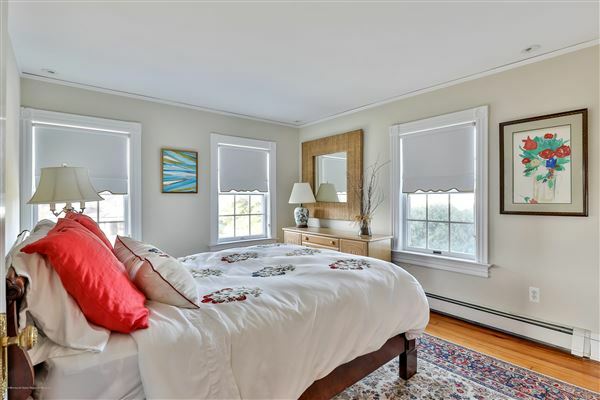 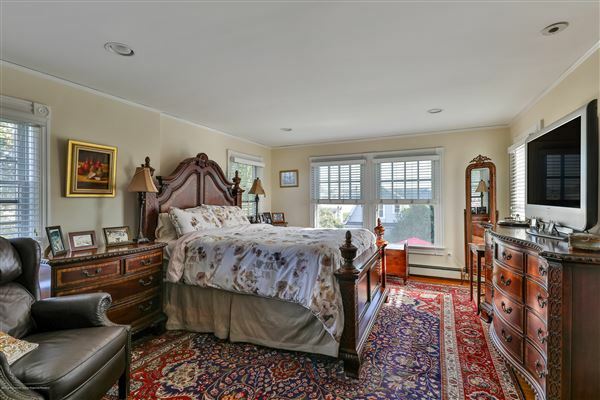 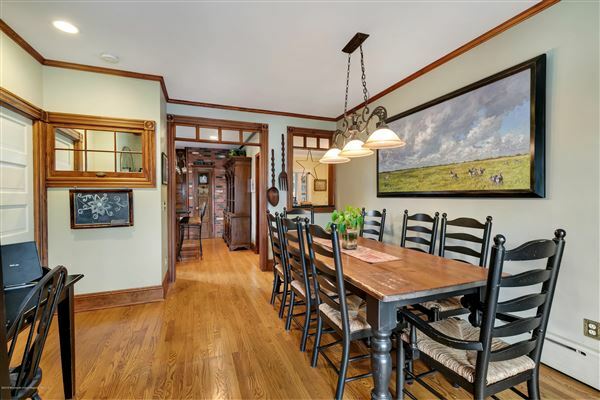 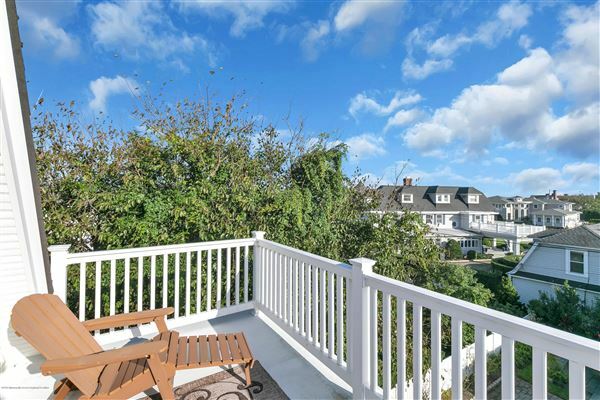 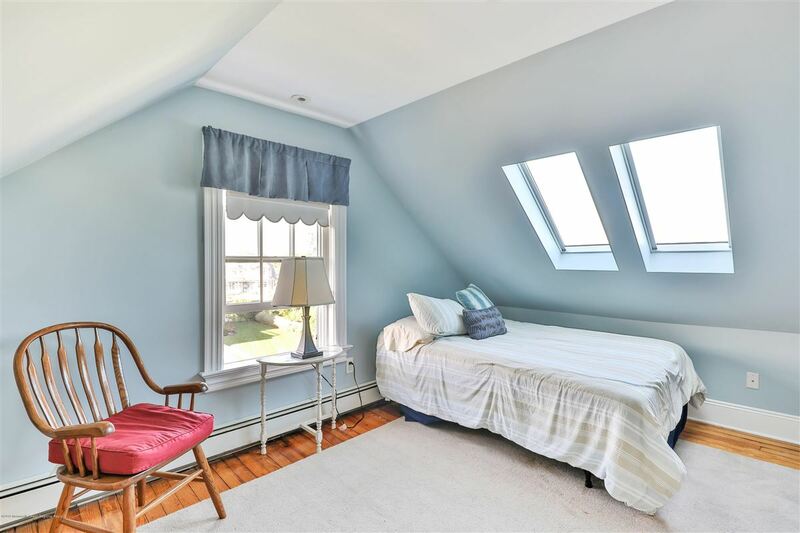 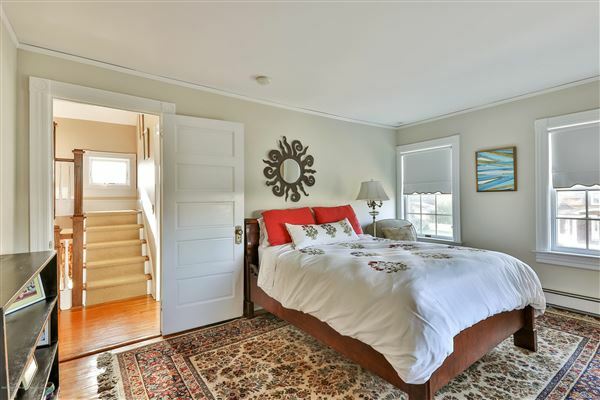 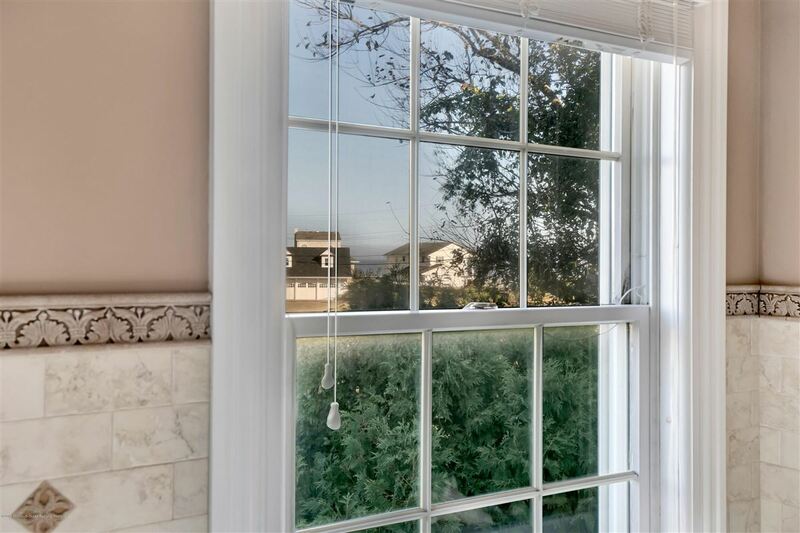 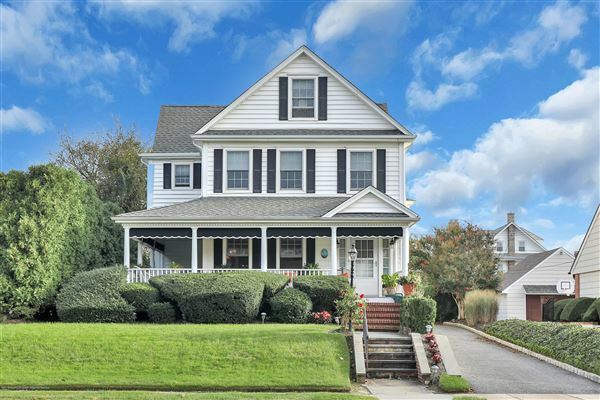 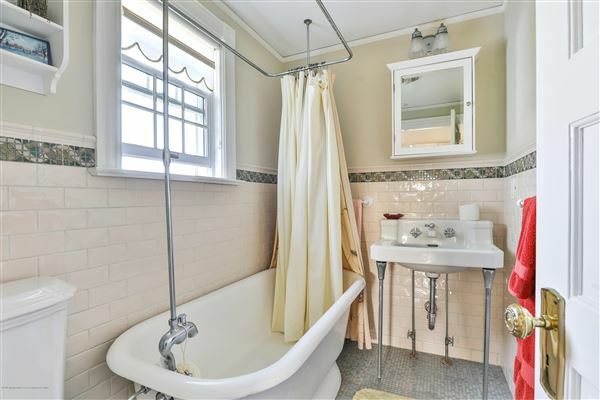 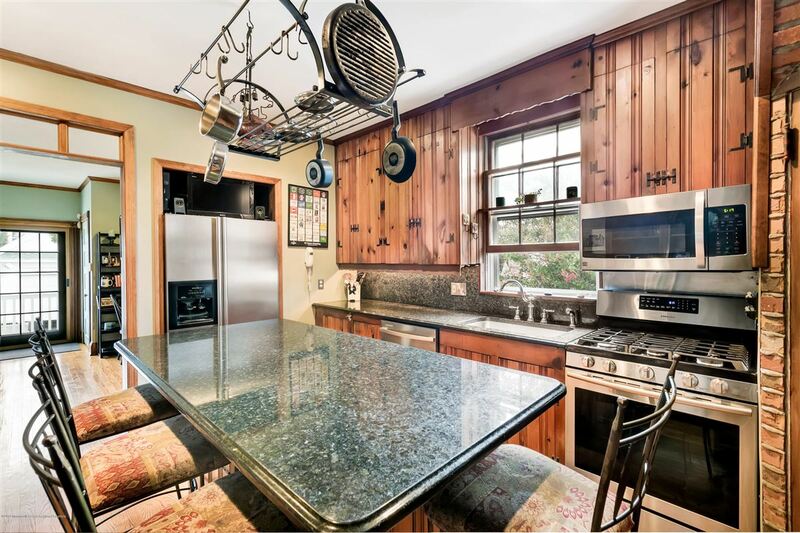 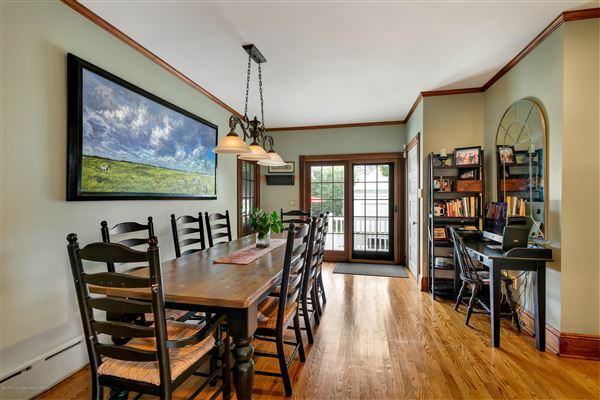 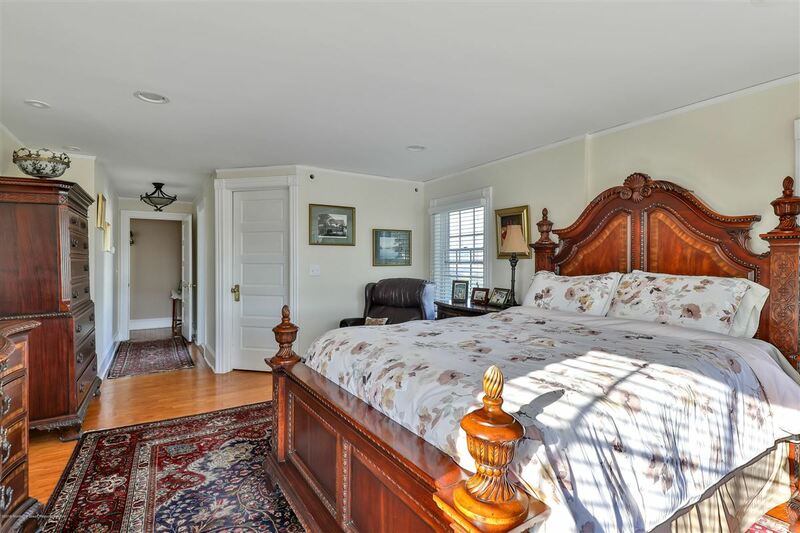 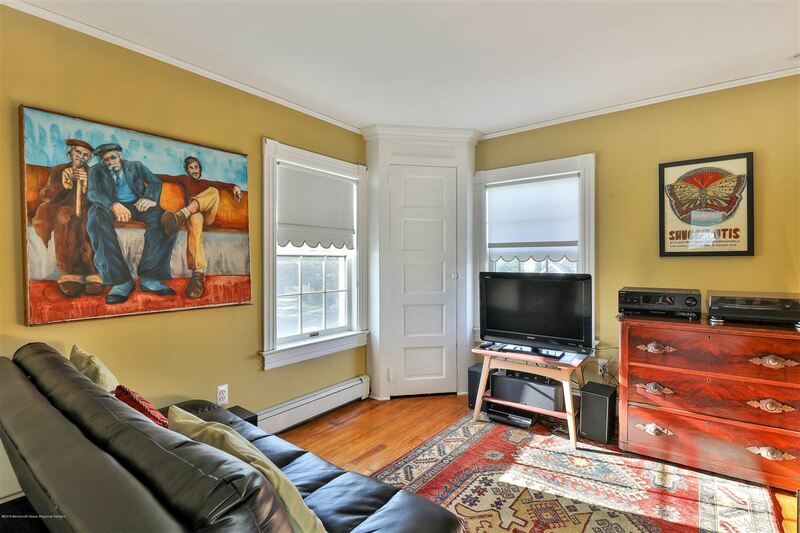 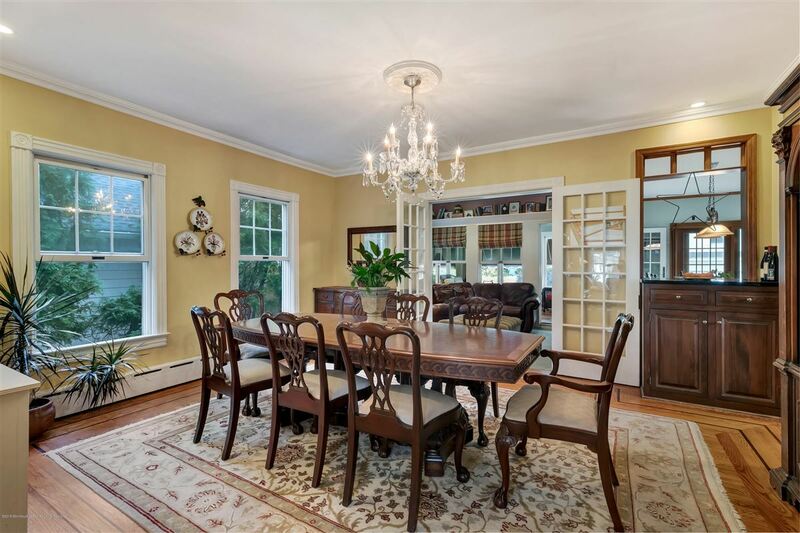 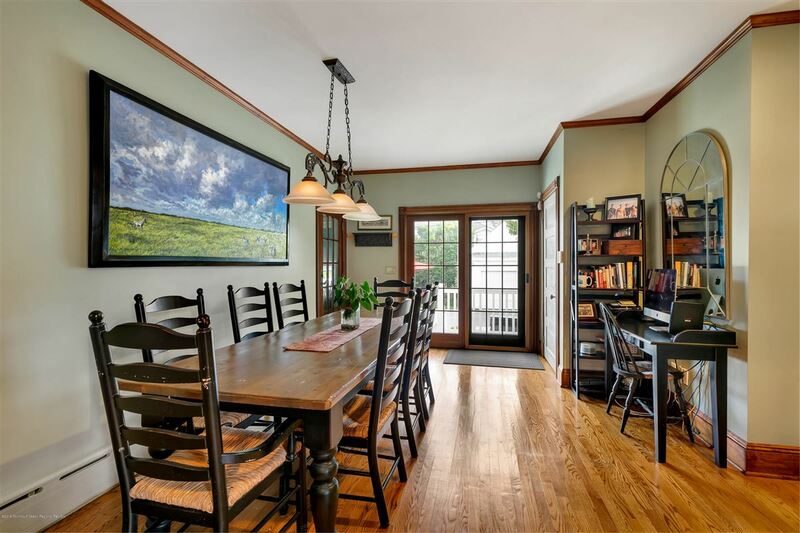 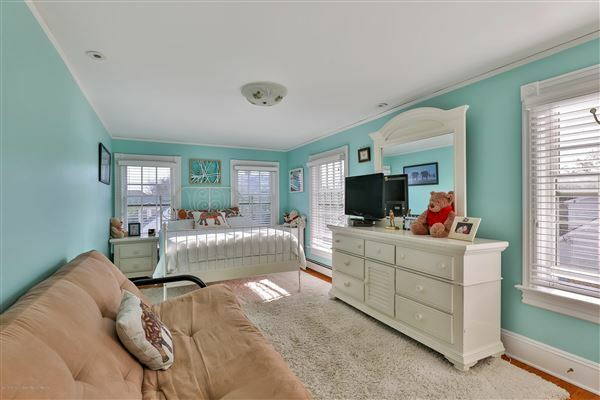 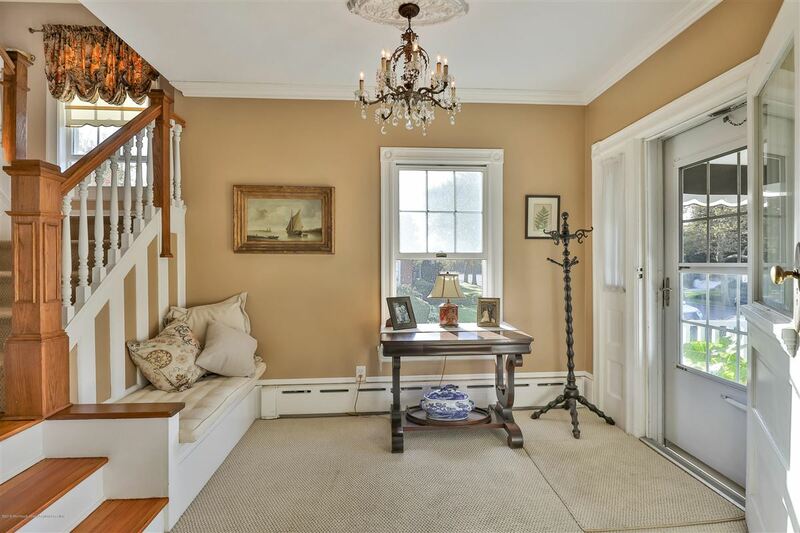 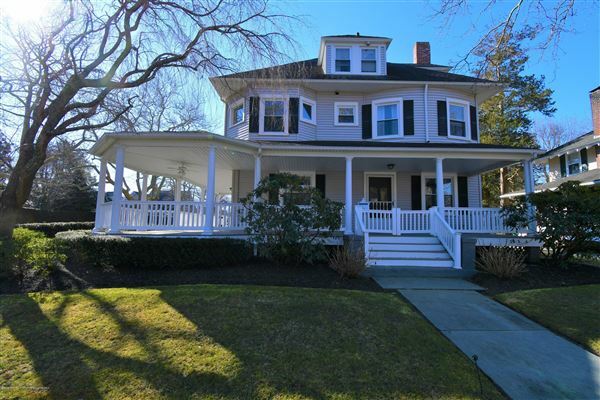 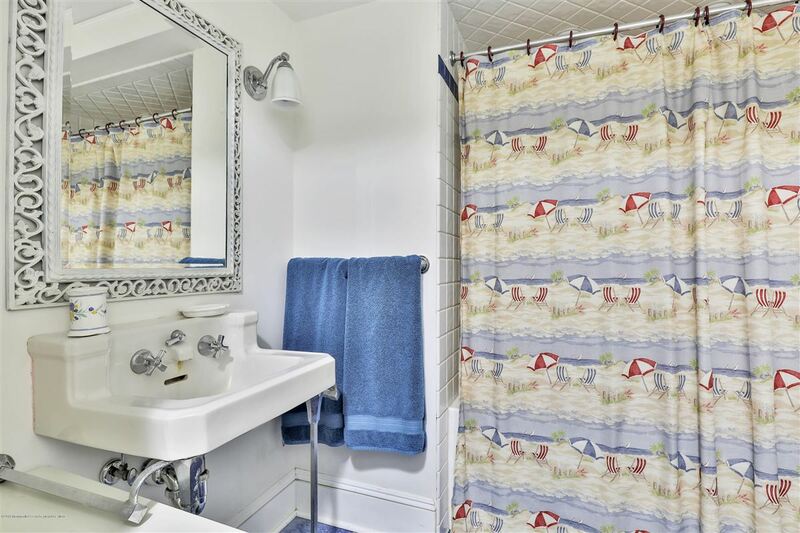 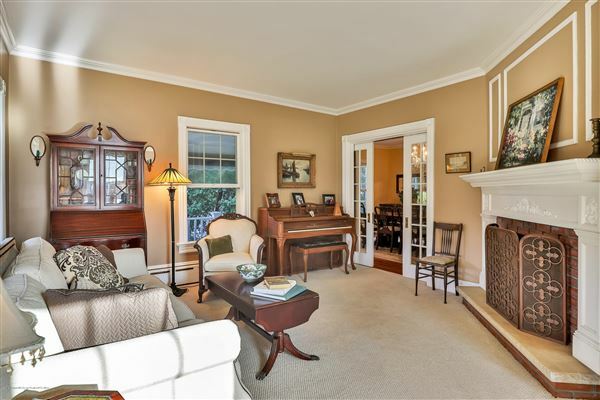 This classic Spring Laker is perched on a hill in the coveted North End and just steps to the beach. 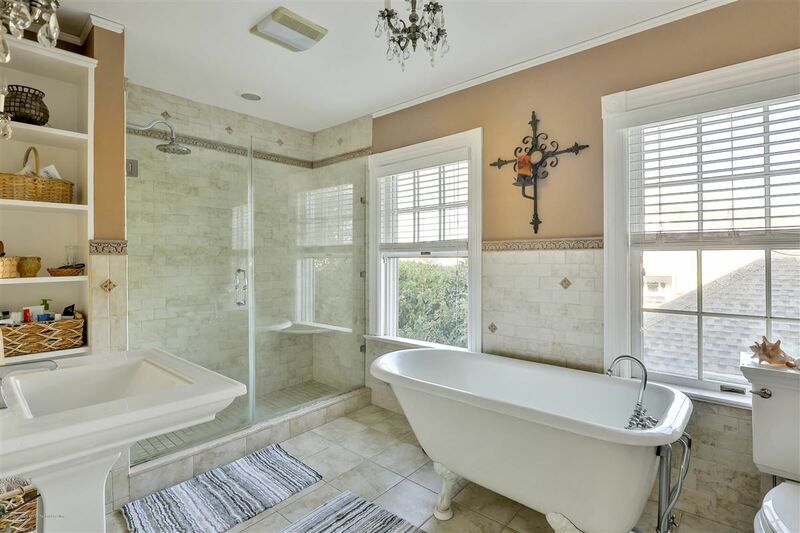 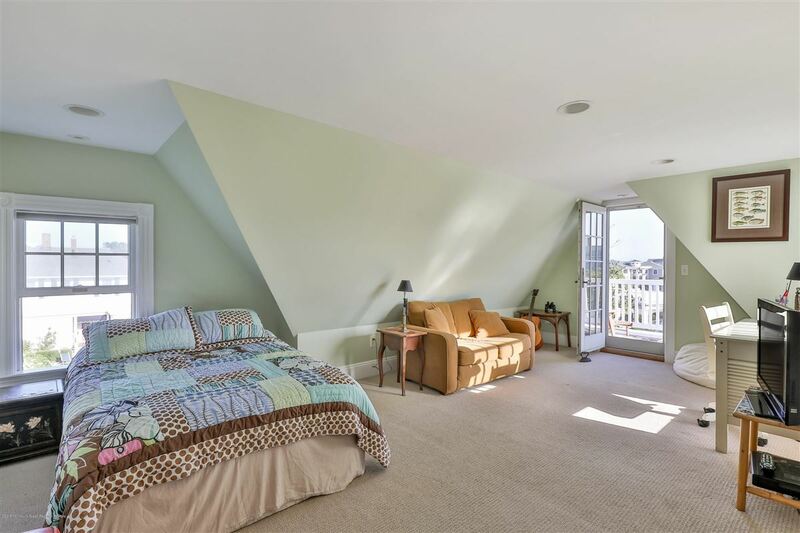 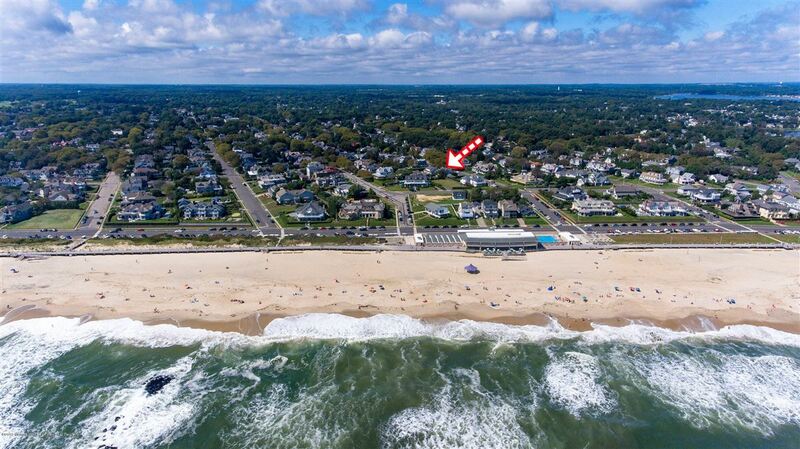 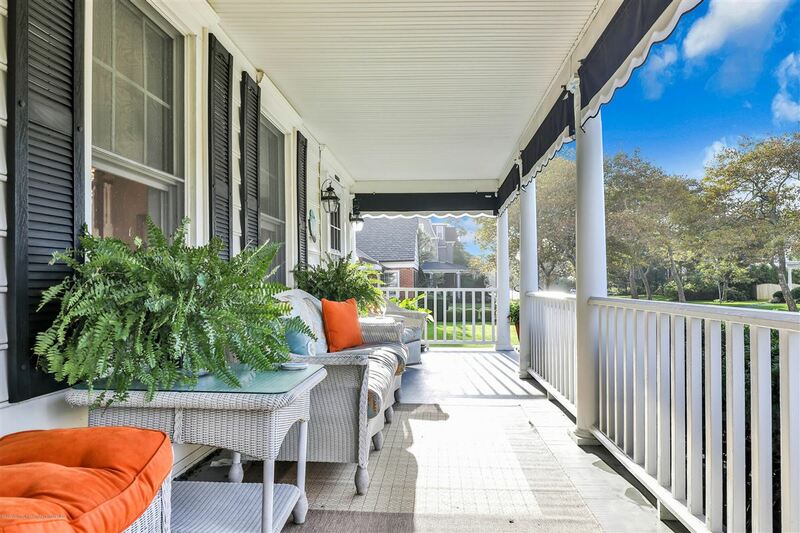 With six bedrooms and 4.5 baths your beach house wish list is fulfilled in this gracious Shore Home. 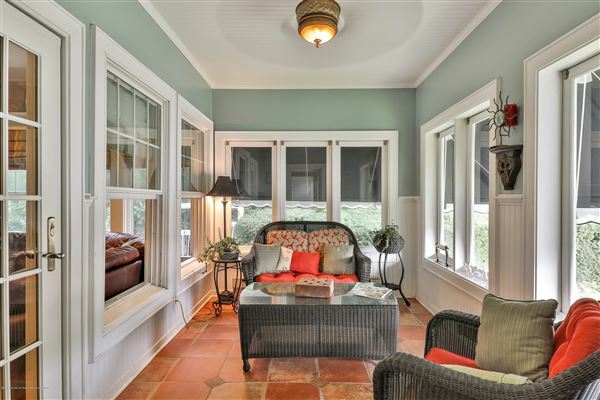 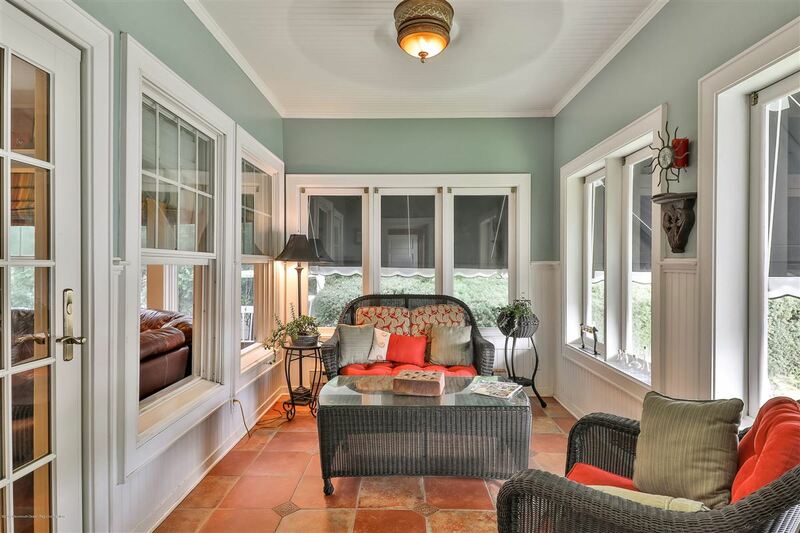 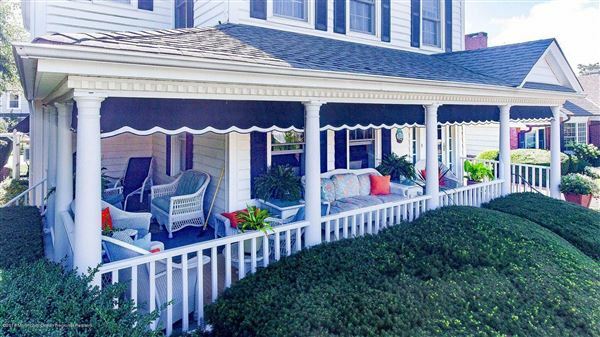 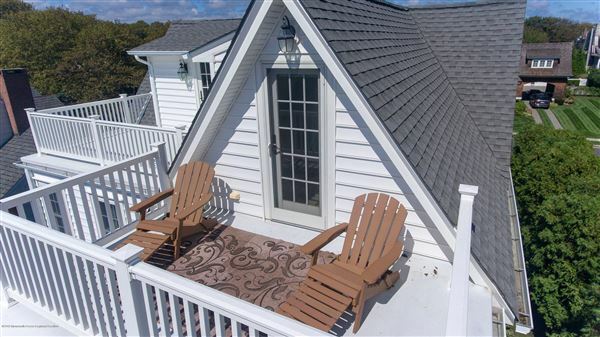 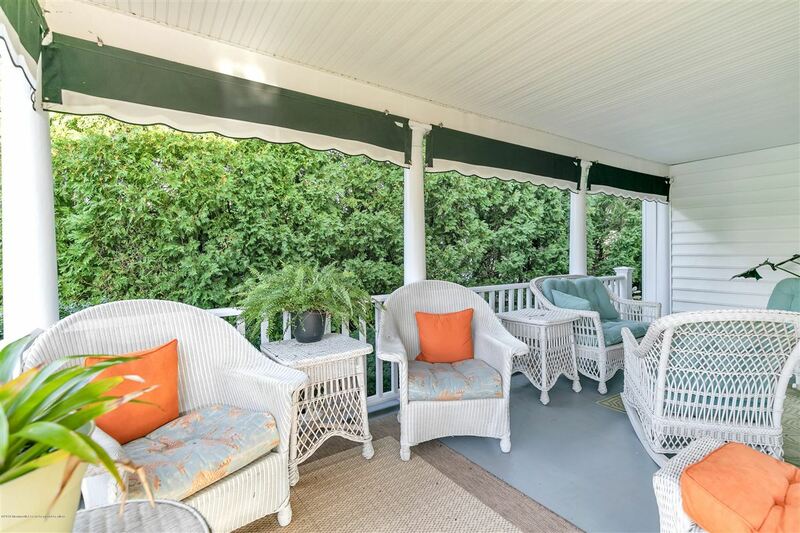 The Spring Lake front porch (a must! 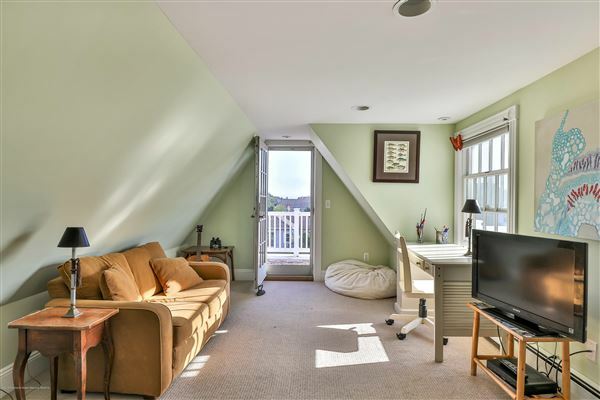 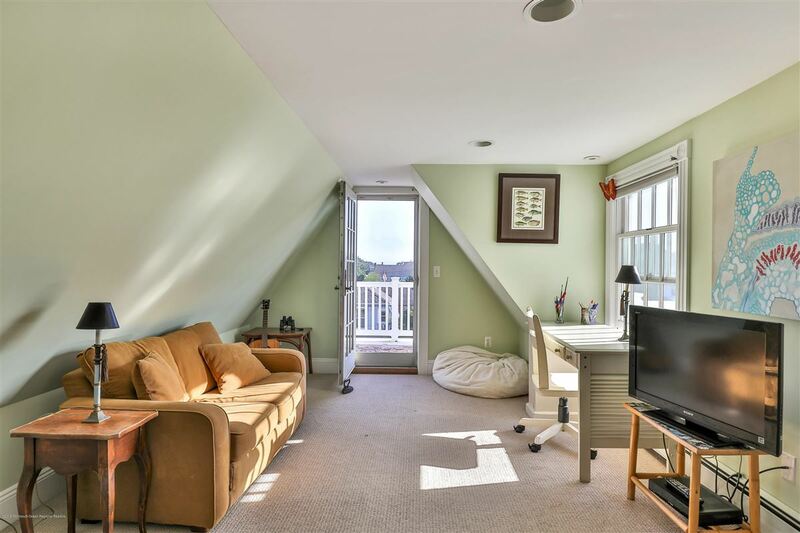 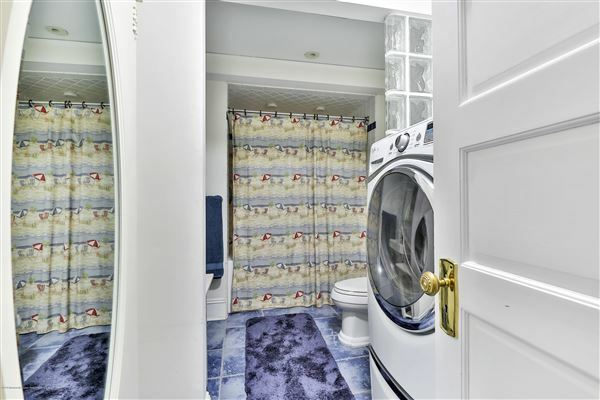 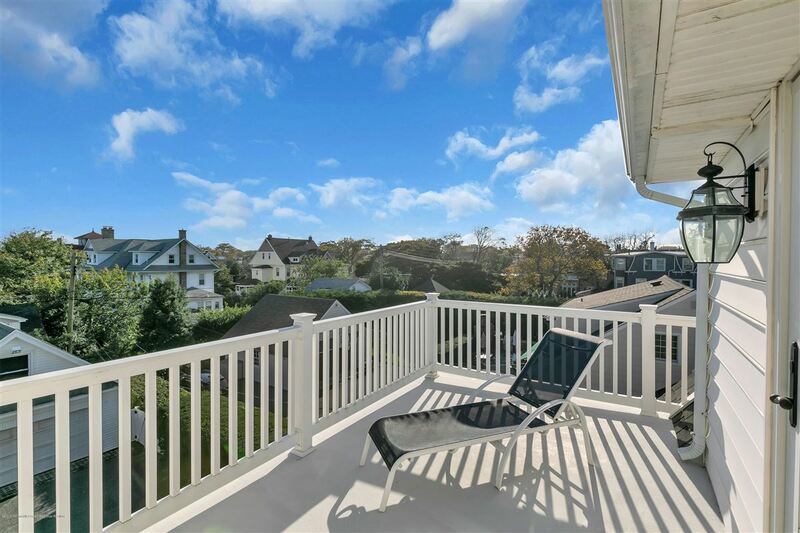 ), private side porch, rooftop decks and a rear yard terrace offer ample opportunity to gather, relax and entertain while taking in the sights, sounds and breezes of the ocean and shore living. 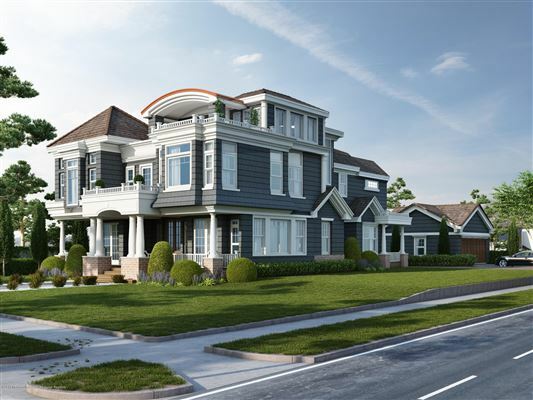 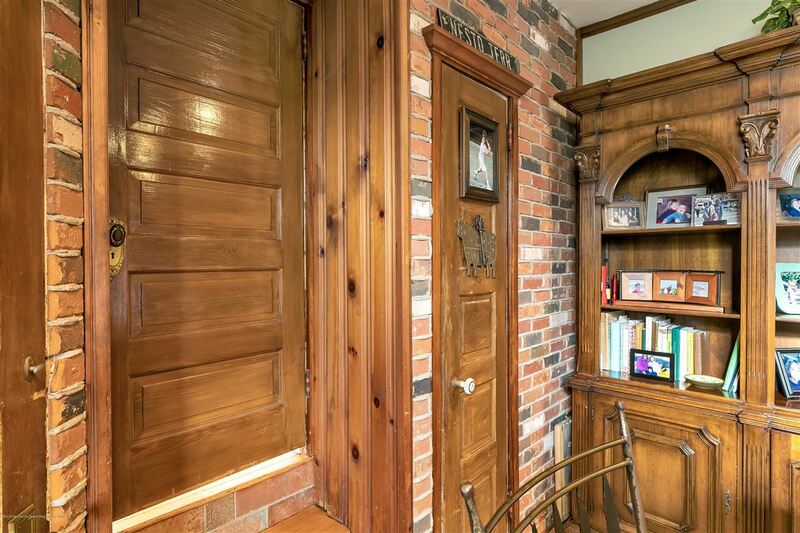 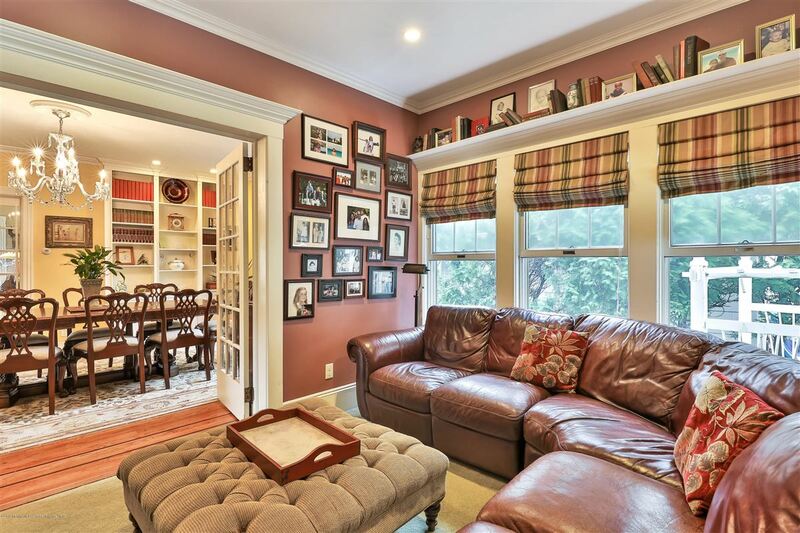 A generous first floor plan captures the time when this home was constructed. 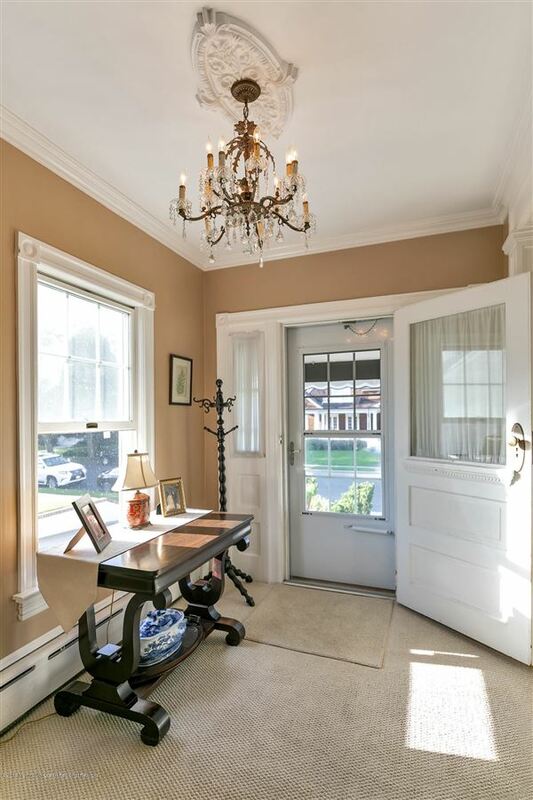 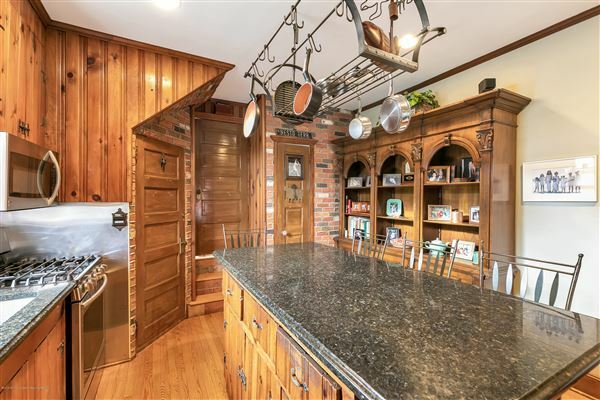 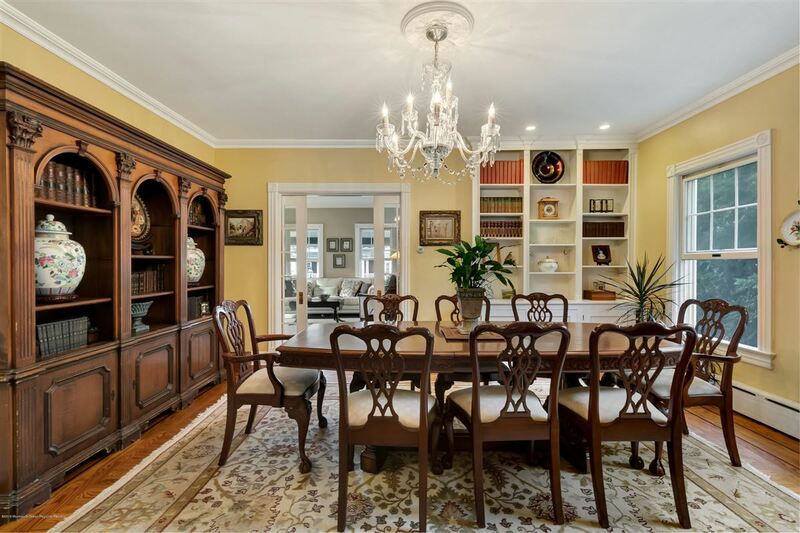 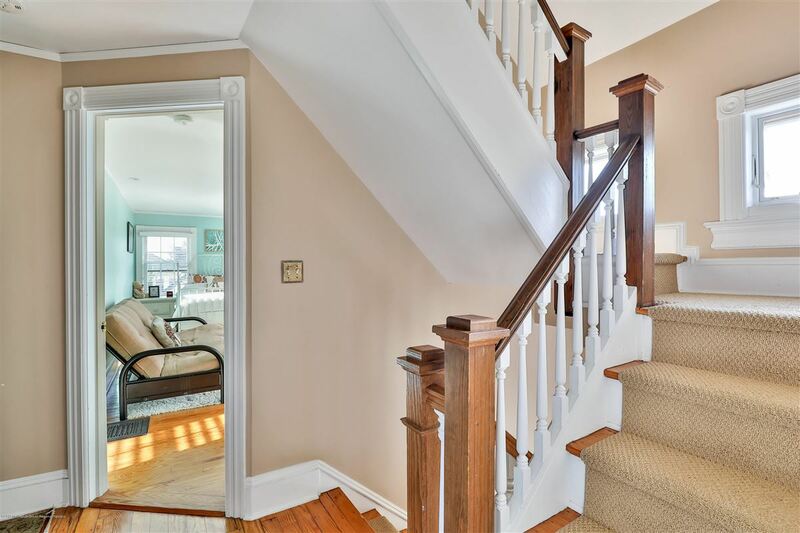 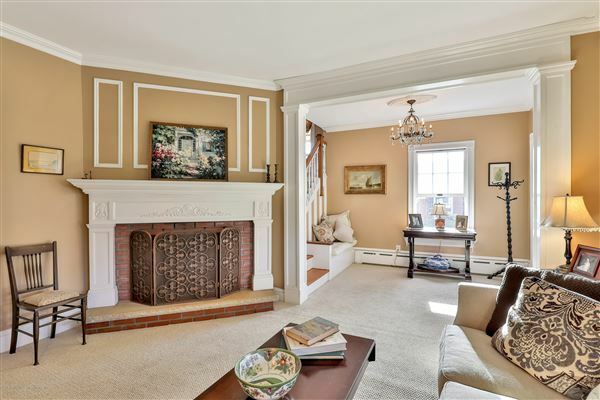 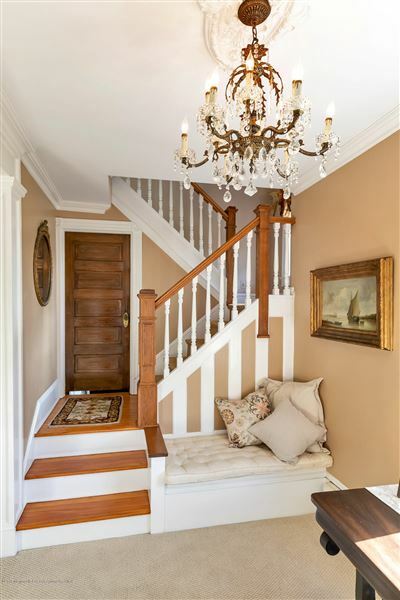 The foyer and an original staircase with moldings opens up to a front parlor and a generous formal dining room with built ins. 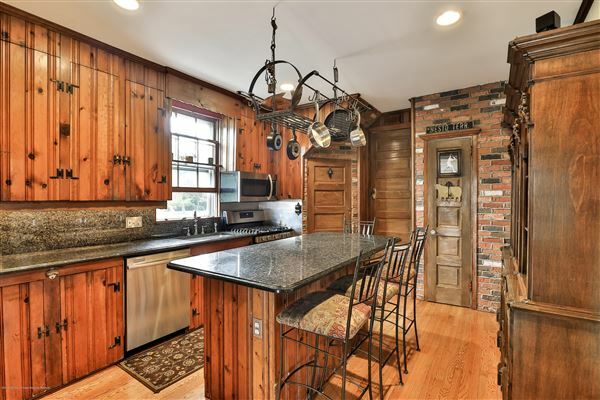 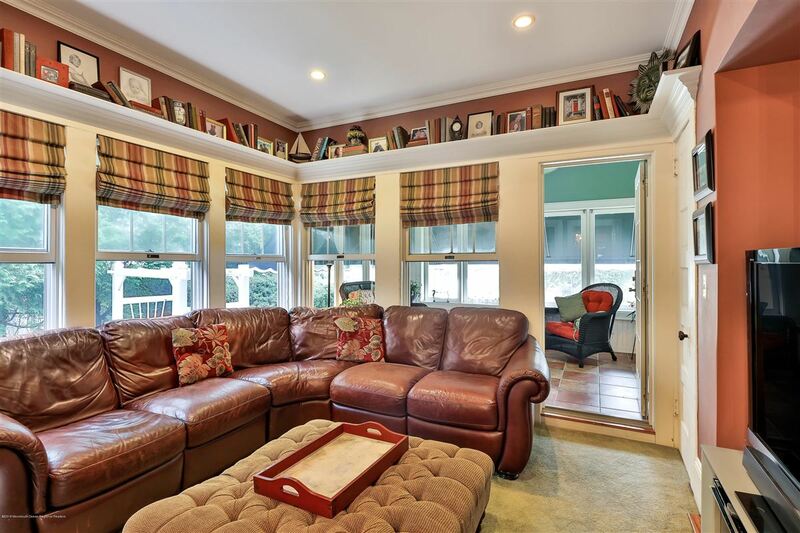 Daily life might be centered around the den, three-season sun room, kitchen and another dining area.